Founded in 1975, Air Link International has remained a leading full-service company for 45 years. Offering quality and efficient custom solutions for pneumatic tube systems, Air Link has fitted more than 20,000 systems worldwide in over 10 countries. 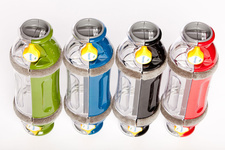 A family owned and operated company; Air Link designs and manufactures its own system components. Today, Air Link provides the ideal tube system solution for the quick and easy transport of sensitive goods to the medical industry. Air Links flexible designs allow us to create the most efficient system to meet your needs ranging from the most basic system to a complex custom semi-automatic or fully-automatic multi-station computer programmed system. To ensure all your needs are met, our friendly customer service and sales staff work individually with customers to guarantee that the correct system for your location is delivered. Once the right system is fitted, customers can take advantage of Air Links nation-wide network of independent companies to install the new air tube system anywhere in America. Two-way dedicated sending & receiving system, designed to transfer carriers with contents between two designated locations. This system is ideal when the job requires information sharing from two different locations without the need to interrupt production for transfer. The Semi-Automatic systems function with a main station as a transfer hub and can be set-up to deliver and receive from multiple remote stations. Remote stations are configured to only send directly to the main station, whereas the designated main station can send to any of the remote stations. These systems are ideal when information is collected from multiple departments and processed at a central department. 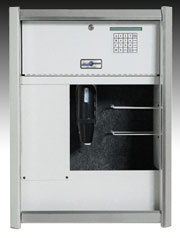 It is easily expandable for additional locations, and can be easily upgraded to a fully-automatic system. The Fully-Automatic system integrates an entire network of stations to transfer documents, cash, lab samples, medications or small items from all points. In this system, all destinations can send and receive to each of the other stations. This system is typically used when a larger number of interacting stations are needed (usually four or more). The Fully-Automatic system is an affordable option for facilities requiring high volume transfer and is easily expandable at any time. Additionally, this system uses up to 50% less electricity with pneumatically controlled devices as opposed to electric-mechanical devices. Click on the "Visit Our Website" link to request additional information on Air Link Pneumatic Tube Systems. Air Link International Pneumatic Tubes a full service tube system company. single tube applications to custom designed fully automatic or semi-automatic multi-station computer programmed systems. design, manufacturing, installation, and service of air tube systems. point to point, twin tube, one way pneumatic tubes in Hospitals, Industrial/Manufacturing Facilities, Retail/Wholesale Stores, Theaters, Car Dealerships, Distribution & Warehouse Facilities, Trucking Facilities, Government & Public Safety Institutions. safely move Samples, Specimens, Pharmaceuticals, I.V. Bags, Paperwork, Records, X-Rays throughout the hospital. used in: Laboratory, Pharmacy, Surgery, Emergency, Radiology, Patient Care Areas, Outpatient, Materials, Records and Administration with air link international pneumatic tubes. 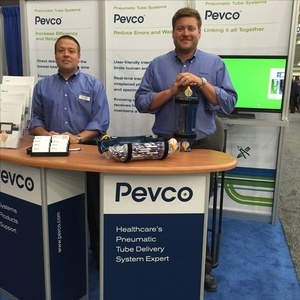 Pevco has been providing high quality, reliable pneumatic tube delivery systems to hospitals for over 30 years. Focused exclusively on healthcare, we understand that fast, accurate delivery of pharmaceuticals, specimens and blood products is vital to providing the best patient care. Pevco Link Touch Control with Barcode Tracking enables clinical staff to track medical items from origin to destination. Users get a complete audit trail - all accessible at the station and through an easy to use web application. Customers report an increase in daily deliveries and a decrease in total delivery time with Smart Path, Pevco's advanced carrier routing system. System performance is streamlined by reducing carrier delivery delays found in other systems. Smart Path's failsafe blower configuration means deliveries continue uninterrupted even when one blower is down for maintenance. We design our products to be familiar and comfortable for the professionals who use them each day. Pevco TEC-6 carriers are ergonomically designed to allow easy handling and loading. Pevco Link has an intuitive touch control which makes using our system as simple as operating a tablet computer. At Pevco, we view each client relationship as a long-term partnership. From our 24/7 help desk to a hands-on management team, Pevco is committed to providing the best customer care. Pevco has decades of experience converting insufficient pneumatic tube systems to efficient reliable Pevco systems. Pevco is compatible with and can upgrade any manufacturers' system with minimal system disruption. While they are commonly used for small parcels and documents - now most often used as cash carriers at banks, pharmacies, medical institutions, hospitals or supermarkets - they were originally proposed in the early 1800s for transport of heavy freight. The technology is still used on a smaller scale. While its use for communicating information has been completely superseded by electronic systems, pneumatic tubes are still widely used for transporting small objects in healthcare, such as medical supplies, equipment, lab work and medications/drugs, or where convenience and speed in a local environment is useful. In the United States, a large number of drive-up banks use pneumatic tubes to transport cash and documents between cars and tellers. Most hospitals have a computer-controlled pneumatic tube system to deliver drugs, documents and specimens to and from laboratories, pharmacy and nurses' stations. Many retail pharmacies use pneumatic airtubes to deliver convenient service (drive throughs) to patients who have difficulty picking up their prescriptions. Many factories use them to deliver parts quickly across large campuses. Many larger stores use systems to securely transport excess cash from checkout stands to back offices, and to send change back to cashiers. Modern systems (for smaller, i.e. "normal" tube diameters as used in the transport of small capsules) reach speeds of around 7.5 m (25 ft) per second, though some historical systems already achieved speeds of 10 m (33 ft) per second. Further, modern systems can also be computer-controlled, allowing, among other things, the tracking of any specific capsule. Varying air pressures also allow capsules to brake slowly, removing the jarring arrival that used to characterize earlier systems and make them unsuitable for fragile contents. Pevco designs, manufactures, installs and supports hospital pneumatic tube systems. Trusted by leading healthcare facilities, our systems quickly, safely and reliably deliver patient-critical materials between labs, pharmacies, ORs, ERs and nurses� stations. And because Pevco pneumatic tube systems are designed with flexibility in mind, they can grow and change as a hospital does. We manufacture carriers used in hospitals, clinics, and pharmacies. These carriers are very well constructed and are designed to offer longevity through continuous usage. Swisslog is the world leading provider of pneumatic tube systems. Our pneumatic tube systems enable fast and secure on-demand automated light unit load material transport. Our tube systems are designed for the special needs of healthcare, but are also applied to industrial, commercial and retail and distribution applications. We manufacture a variety of tube systems designed for the global needs in a variety of industries.